19 Little Tricks That'll Make You Say "Why Didn't I Know About These Sooner?" 1. Use a straw to make sure you get butter ~all throughout~ your movie popcorn, instead of just on top. H/T Titus Andromedon and Netflix's Unbreakable Kimmy Schmidt for this trick — you move the straw around in the bottom of the bag and through your popcorn to get butter ~throughout~, instead of just on the top layer of kernels. 2. When you microwave leftovers, shape your food into a ring to make it heat faster and more evenly — instead of just piling everything together. This works especially well for pasta and pasta-like foods (quinoa, farro, etc). Except maybe lasagna — just cut that into two evenly sized pieces. H/T this Reddit thread. 3. Punch in the tabs at the ends of your foil and plastic wrap to make it easier to pull-and-tear without pulling the whole roll out of the box. 4. Pay attention to the tag on your fitted sheet, which will instantly show you where to find the shorter end. Never put the short side of the sheet on the wrong corner again. H/T this Reddit thread. 5. Next time you drink soda with a straw, secure it with the pop tab, so you don't have to repeatedly push the straw back into your drink. Unless you LIKE playing with your straw, I guess? From here. 6. When you use your citrus squeezer, cut your fruit in half but also cut off a small piece of the small end of your fruit, so you get more juice with less effort. Apparently, you're not supposed to just put the cut side of a halved fruit in, and I've been using these wrong my whole life. From here. 8. Keep your house warmer during the cooling months by just flipping the switch on your fan, instead of leaving the fans turned off. You want your fan to spin clockwise in the winter, so all the heat that rises to the ceiling is pushed back down, and counter-clockwise in the summer, so you get that skin-cooling breeze. From Mom4Real. 9. On plastic snack bags, just flip the zipper sides back to let the bag hold itself open for you. 10. Use the California Roll trick to get your duvet cover on your duvet in no time, instead of crawling inside the cover. When you start unrolling it, it feels a little like magic that it actually works! Get the full tutorial (plus other methods) on Crane & Canopy. Cut off the top of the onion but leave the root end as is. Then, cut the onion in half from the top of the onion (so you have two half-circles). Take one half, put it on its flat end, hold it at the root, and make a bunch of small top-down cuts. Make another cut horizontally through the onion halfway, and then you dice — perfectly. From here. 12. Cut open your "empty" beauty products to get all the extra product out of them, instead of just tossing the tubes. Get ~all~ of your money's worth. H/T this Reddit thread. 13. Tie your floss into a ~floss circle~ instead of pinching your fingers by wrapping the floss around them. 14. 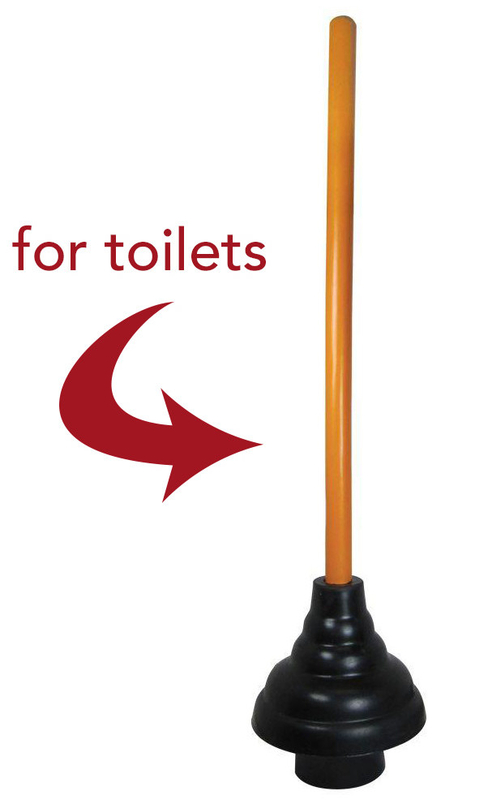 When your toilet's clogged, reach for a flange plunger, which is made for suction in toilets, not a typical cup plunger. 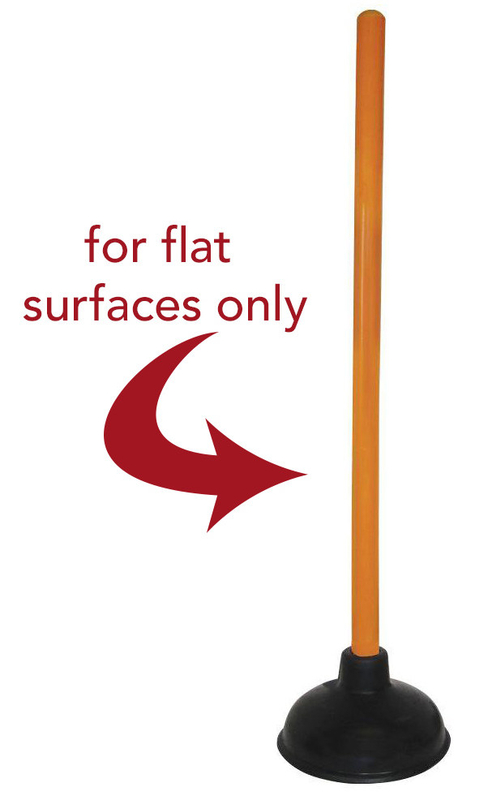 You can't get a good seal with the cup plunger unless it's on a flat surface, like in a tub or big kitchen or flat-bottomed bathroom sink, according to this plumber. And your toilet is definitely not a flat surface. 15. Angle your rearview mirrors so you see just *beyond* the side of your car, so you can see more of your blindspot. Although you should still always actually turn and look quickly — my driving school's mantra was "mirror, blinker, mirror, blindspot." From here. 16. Peel large amounts of garlic by putting the cloves into a glass or plastic container and shaking vigorously. You could have a whole head of garlic peeled in no time at all! From here. 17. Store your plastic grocery bags in an empty tissue box, instead of in a different plastic grocery bag. Have more bags than fit in that box? Go recycle 'em. From Easy Going Organizer. 18. Wash and dry your socks in mesh lingerie bags, and you'll never lose a single sock again. Who cares that it's *called* a lingerie bag — if it saves your socks, it's worth it. Lots of big socks? Get multiple bags, or a bigger bag. From One Good Thing By Jillee. 19. Quickly dump the remains of your box of cereal in a colander so you don't have to suffer through a bowl that's half soggy crumbs. You don't even have to do extra dishes: Just put the cereal in a bowl, and rinse the colander and sink. From here.